Last week I discovered that my local specialty market carries fresh yuzu when they are in season. I have never seen it fresh before, we usually only get the bottled juice if we are lucky, so I snatched up a few for experimenting. When I got them home and presented them to my husband, who is usually only mildly interested in my culinary finds, there erupted something of a yuzu controversy. I contend that the aroma of the yuzu is a pleasing mix of grapefruit, lemon, and fresh grass. My husband’s position is that they smell like old, nasty dirt. Considering that the fragrance of yuzu is used as a perfume across Asia, I suspect my take on the scent is probably right. Seriously, who would want to smell like old, nasty dirt? Well, controversy aside, I decided to forge ahead and make something with my yuzu. Something delicious! As many of you know I have been working diligently on a new cookbook, this one all about muffins. Needless to say, small cakes have been on the brain. You could bake this a a larger cake, if you wanted, but I like look of the small little cakes piled up on a plate, but I digress. To get the most out of your yuzu you need to employe the zest, which has all the lovely aroma, and the juice, for a little bitter yet tangy flavor. You could use yuzu in the glaze, too, but I went with plain vanilla. I like the flavor of the yuzu combined with the vanilla. These are best if you allow them to set overnight in an airtight container. Just a few hours of rest gives the yuzu flavor a chance to really bloom, but if you want to eat them fresh (or, like me you can’t resist warm pound cake) feel free. Oh, and for the record, my husband had no problem devouring more than a few of these little cakes and never once complained of them smelling or tasting of dirt. Not that I am keeping score or anything. 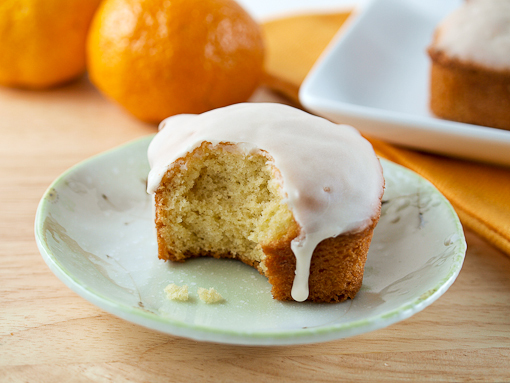 Heat the oven to 350 F and spray a 12-cup muffin pan with non-stick spray. 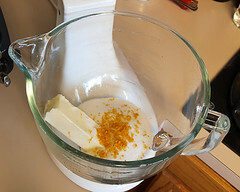 In the work bowl of a stand mixer, or in a large bowl with a hand mixer, add the butter, sugar, and yuzu zest. Beat on high speed until very light and fluffy, about 10 minutes. Add the eggs one at a time, beating for about 2 minutes on medium speed after each egg is added. 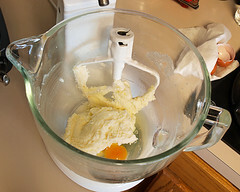 Add the mascarpone cheese, buttermilk, yuzu juice, and vanilla and beat until well combined. The mixture may appear broken at this stage. 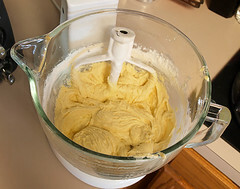 In a medium bowl whisk together the flour, salt, and baking soda. 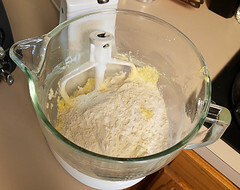 Add the dry ingredients into the wet and mix until the flour is just combined. Do not over-mix. 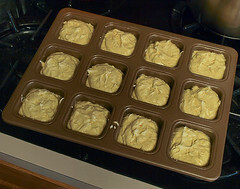 Divide the batter evenly among the prepared muffin cups, then bake for 18 to 20 minutes, or until the cakes are golden brown and spring back when gently pressed in the center. 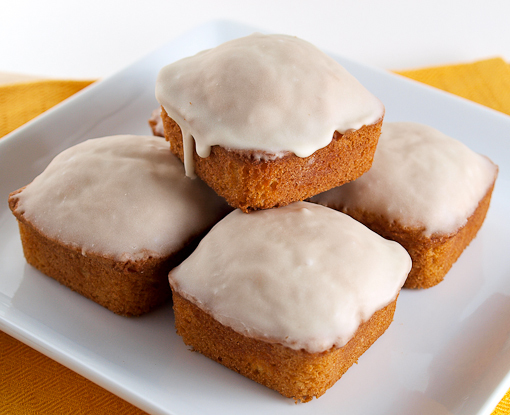 Cool in the pan for 5 minutes, then transfer the cakes to a cooling rack and allow to cool to room temperature. While the cakes cool prepare the glaze. In a small bowl combine powdered sugar, butter, and vanilla. 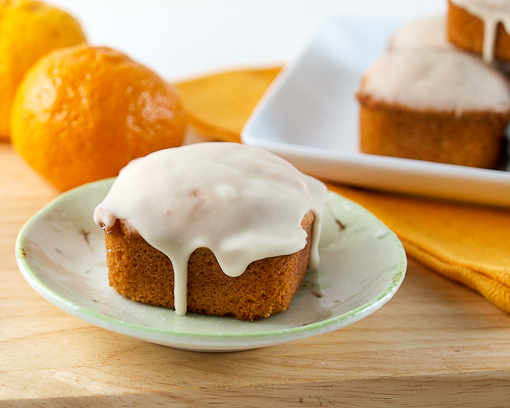 Mix slowly and add the water, a few drops at a time, until it is just thin enough to glaze the cakes. 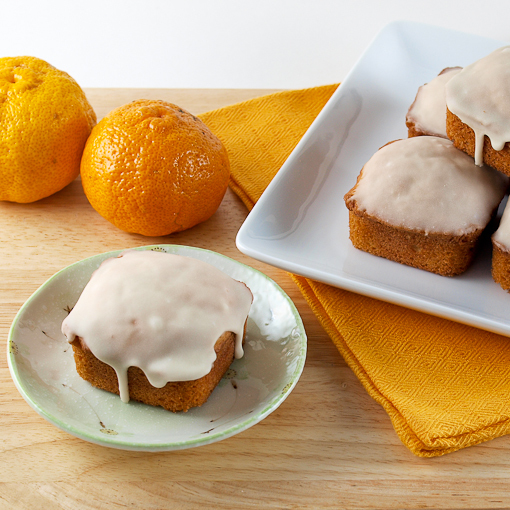 Dip the tops of the cooled cakes into the glaze, allowing the excess to drip off. Return the glazed cakes to the cooling rack and allow the glaze to set before serving, about 1 hour.